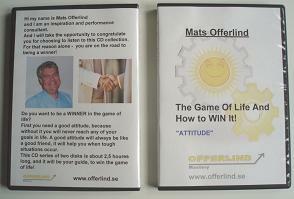 are interested in increasing their chances of being a WINNER in the game of life! have forgotten the importance of attitude in achieving success, progress and self-esteem, and need some inspiration and motivation to regain it. understand that while they have a good attitude, improving it further can lead to much greater things. are curious about the Mastery seminar. Please look at the page seminars to find more.